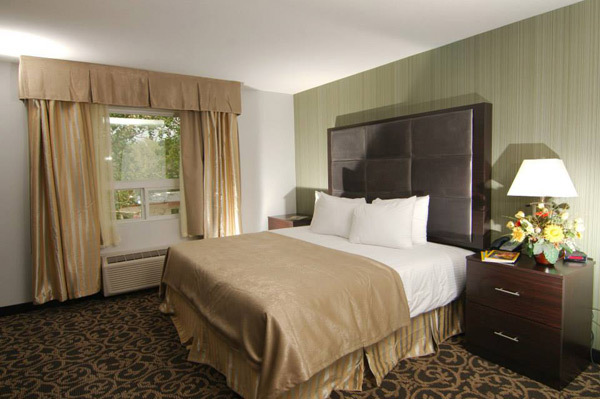 Our well-appointed ADA rooms and hotel accommodations offer all the comfort you need when you book your stay with us. All of our accommodations feature modern and cosy furnishings to make your stay an enjoyable one. Every room and suite features thoughtful amenities such as a 42-inch flat-screen TV, full kitchen and complimentary Wi-Fi internet access. 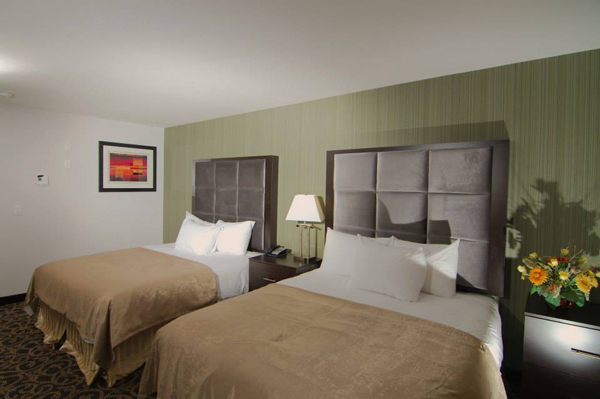 Whether you’re here for one night or an extended stay, we’ll do everything we can to make sure you feel right at home. If you are looking for hotels with jacuzzi in room or pet friendly accommodations, you've come to the right place. Choose a room or suite to suit your travel needs and budget, and book online today for our guaranteed best rates. Furnished with two plush queen beds, our comfortable Double Queen Kitchenette Room includes a 42-inch flat-screen HDTV, complimentary high-speed Wi-Fi, and a full kitchen with fridge, stovetop, dishwasher, microwave and a coffeemaker. Furnished with a plush king bed, our comfortable King Kitchenette Room includes a 42-inch flat-screen HDTV, complimentary high-speed Wi-Fi, and a full kitchen with fridge, stovetop, dishwasher, microwave and a coffeemaker. 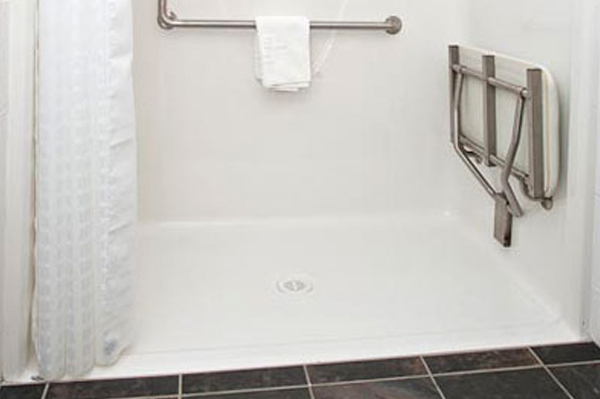 For the comfort and safety of our disabled guests, the Accessible King Kitchenette Room features one king bed and special mobility-accessible fixtures and furnishings. 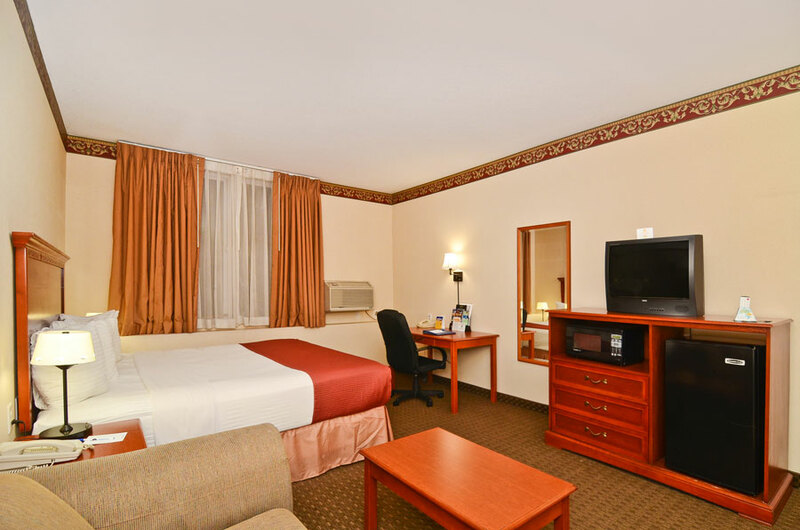 This room also features our standard amenities including a 42-inch flat-screen HDTV, complimentary high-speed Wi-Fi, and a full kitchen with fridge, stovetop, dishwasher, microwave, and a coffeemaker. 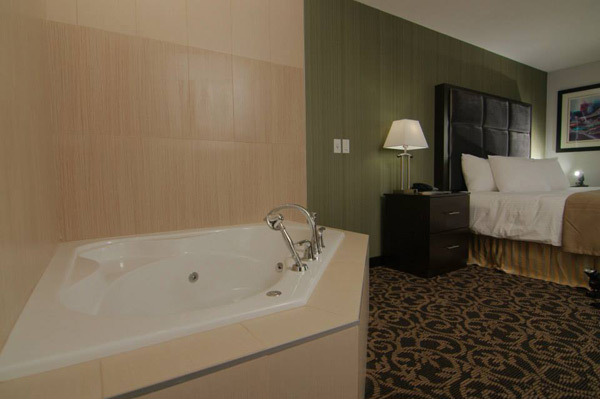 Perfect for romantic getaways and relaxing stays, the King Jacuzzi Kitchenette Room features a plush king bed and a luxurious in-room Jacuzzi. It also includes a 42-inch flat-screen HDTV, complimentary high-speed Wi-Fi, and a full kitchen with full fridge, stovetop, dishwasher, microwave and a coffeemaker. Relax in our spacious Double King Kitchenette Suite featuring two King beds located in separate rooms and a cosy living area for extra comfort and relaxation. 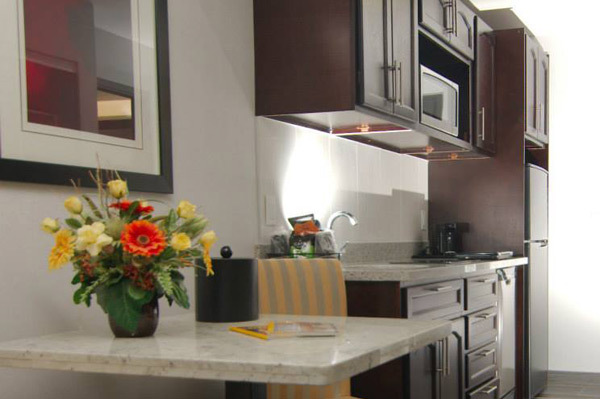 This suite includes complimentary high-speed Wi-Fi, a 42-inch flat-screen HDTV and a full kitchen with fridge, stovetop, dishwasher, microwave and coffeemaker, as well as our other standard in-room amenities.